Enter the "completely captivating" (Jimmy Ryan, Spoiler TV) world of Mr. Robot. Cyber-security engineer by day and vigilante hacker by night, Elliot (Rami Malek, The Pacific) finds himself at a crossroads when the mysterious leader (Christian Slater, Very Bad Things) of an underground hacker group recruits him to destroy the firm he is paid to protect. Compelled by his personal beliefs, Elliot struggles to resist the chance to take down.. Winner of the Golden Globe for Best TV Drama, “Mr. Robot” follows Elliot Alderson (Golden Globe-nominee and Emmy Award-winner Rami Malek), a young cyber-security engineer who becomes involved in the underground hacker group fsociety, after being recruited by their mysterious leader (Golden Globe-winner Christian Slater). 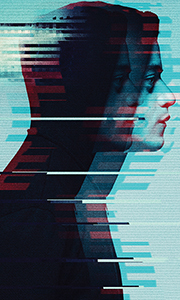 Following the events of fsociety’s 5/9 hack on multi-national company Evil Corp, the second season explores the conse..
Own Mr Robot Seasons 1 to 3 Blu-Ray from Deff, DVD, Blu-Ray & 4K Video Specialists - Free UK Delivery..
From the producers of "True Detective," "Mr. Robot" follows Elliot, a young and brilliant programmer who has perfected the art of computer hacking. Elliot suffers from a debilitating anti-social disorder, making hacking into peoples’ lives his only means of human connection. He wields his skills as a weapon to protect the people he cares about from those who are trying to hurt them. Ultimately, he finds himself at the intersection betwe.. Winner of the Golden Globe for Best TV Drama, "Mr Robot" follows Elliot Alderson (Golden Globe-Nominee and Emmy Award-winner Rami Malek), a young cyber security engineer who becomes involved in the underground hacker group fsociety, after being recruited by their mysterious leader (Golden Globe-Winner Christian Slater). Following the events of fsociety's 5/9 hack on multi-national company Evil Corp, the second season explores the conseq..
Own Mr Robot Season 3 Blu-Ray from Deff, DVD, Blu-Ray & 4K Video Specialists - Free UK Delivery..
Own Mr Robot Season 3 DVD from Deff, DVD, Blu-Ray & 4K Video Specialists - Free UK Delivery..
Own Mr Robot Seasons 1 to 3 DVD from Deff, DVD, Blu-Ray & 4K Video Specialists - Free UK Delivery..